At New Age Dentistry, we provide veneers in San Ramon for patients looking to achieve whiter, more uniform smiles. Dr. Sherry Steinmetz works with a state-of-the-art lab to fabricate custom veneers, ensuring your smile is restored to the highest standard. Whether you’re interested in cosmetic treatment for a single tooth or a full smile makeover, porcelain veneers can help you achieve the aesthetic you desire. For a convenient, non-invasive way to improve your smile, contact New Age Dentistry today to learn more about dental veneers. Fabricated using high-quality porcelain, these restorations are resilient and stain-resistant. 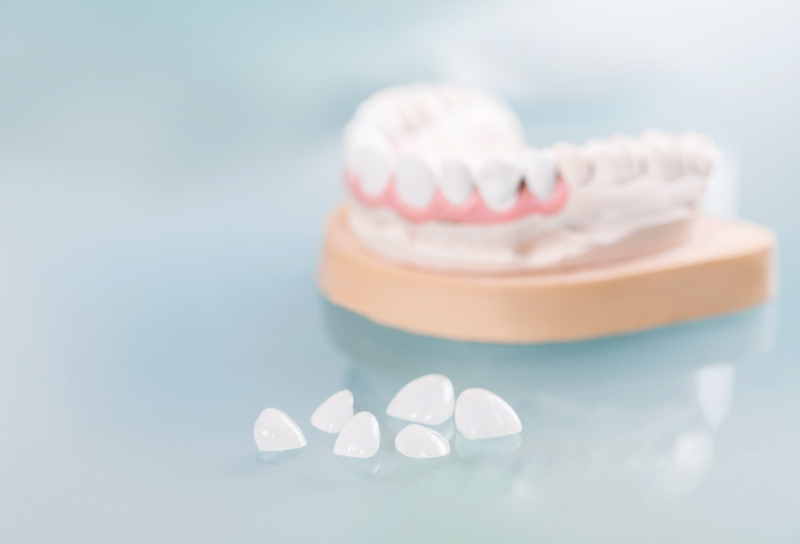 Porcelain shells are bonded to the fronts of visible teeth, resulting in a smile that is balanced and radiant. At New Age Dentistry, we are committed to helping you feel great about your smile and sustain your oral health. During your veneers consultation, Dr. Steinmetz takes the time to listen to your concerns and goals. She has the skill and education to provide fully custom work and offers treatment to meet your specific needs. We determine the number of veneers necessary, taking note of the shade of neighboring teeth, as well as the height of soft tissue to ensure a seamless transformation. Once we take impressions of your smile, we have your veneers custom created at our trusted local dental lab. We invite you back to our practice once they are fabricated, to bond your new smile in place. Dr. Steinmetz uses her artistic eye to provide full restorative work with dental veneers. Our veneers replicate the same sheen and feel as natural teeth and last longer than brand name veneers. Patients enjoy smiles that are brighter and uniform, enhancing confidence. Ready for a brand new smile? Contact New Age Dentistry today to schedule an appointment for custom porcelain veneers today. Our San Ramon dentist, Dr. Sherry Steinmetz, and her team are dedicated to your continued oral health and enhancing the beauty of your smile.